Join us as we partner with Friends of Nevada Wilderness, Nevada Outdoor School, and the BLM – Nevada for a fun weekend of camping and volunteering at Soldier Meadows Cabin, Sept. 28th – Sept. 30th. We will be working specifically in the Desert Dace habitat in the hot springs, so please bring waders or wellies if you have them. 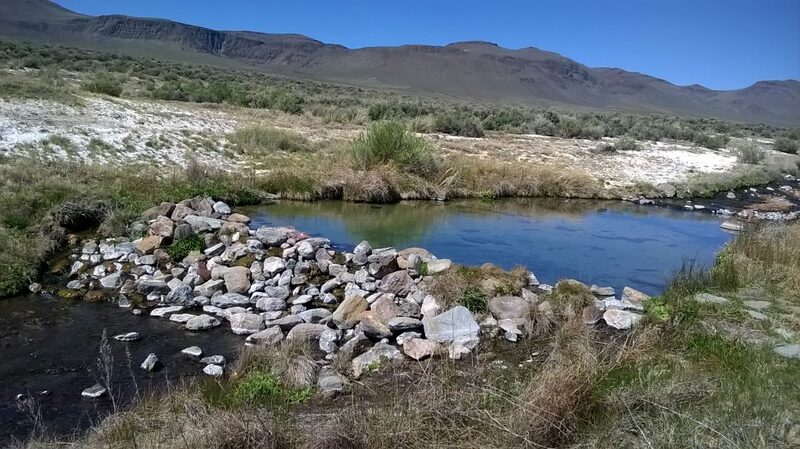 This is a continuation of an on-going multi-year project to remove overgrowth that causes flooding and allows the Green Sunfish to threaten and attack the endemic Desert Dace. Other projects include trash clean-up around Soldier Meadows Cabin and any repairs inside, as necessary. We will meet at the Friends Office, 320 Main St. Gerlach, and caravan out to Soldier Meadows Cabin for anyone wanting to follow. Time of meet-up TBA. Nevada Outdoor School will be hosting Kid’s Camp from 8a-4p for kids ages 5+. 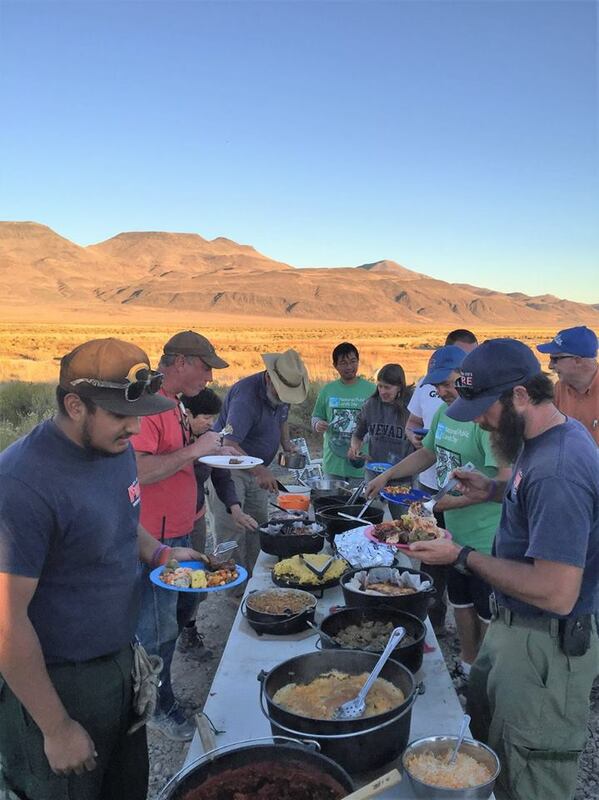 There will be a Potluck dinner Saturday evening, OR depending upon the situation with current fire restrictions and safety, our usual Dutch Oven Cook-Off.Along with Friends of Nevada Wilderness, we will provide a continental breakfast both Saturday and Sunday mornings. This is sure to be a weekend of good times, good people, and a great way to improve your public lands!We will be camped out at the Soldier Meadows Cabin and immediate surrounding area.